BRYAN EATON/Staff photo. Preston McAvoy, 7, made this hat with his mother which consists of colorful fabric, bows and ornaments and even lit up Christmas lights. 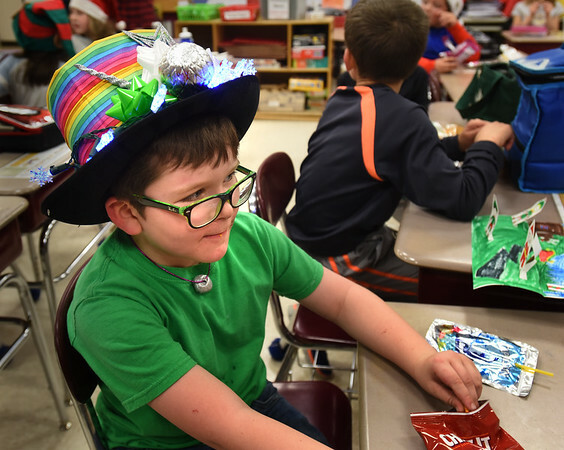 It was Holiday Hat Day at the Cashman School in Amesbury on Monday, part of Spirit Week with a different theme each day.